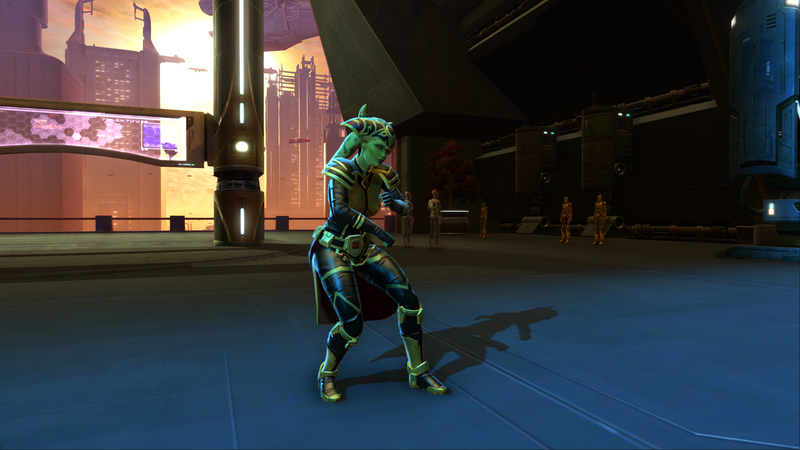 Boost your celebrations this week with the latest Cartel Market Sales like the Hutt Cantina Skiff Speeder, the Music Therapy Probe, Celebrate Emote, and more! ONE WEEK ONLY – Beginning July 3, 2018 – 380 Cartel Coins! 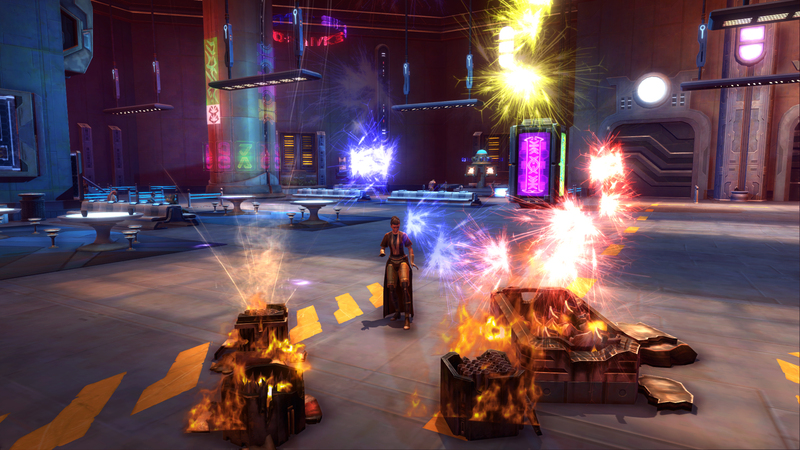 Bring your celebrations to epic proportions with the fireworks available in the Celebration Mishap Toy – available this week in the Cartel Market! ONE WEEK ONLY – Beginning July 3, 2018 – 2400 Cartel Coins Now 1800 Cartel Coins! 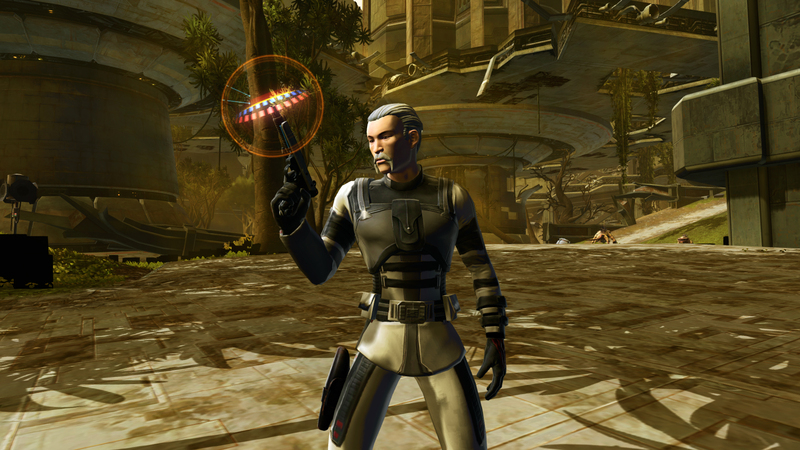 Boost your celebrations, and your health, with the Music Therapy Probe – available for a limited time this week. ONE WEEK ONLY – Beginning on July 3, 2018 – 1500 Cartel Coins Now 1350 Cartel Coins! 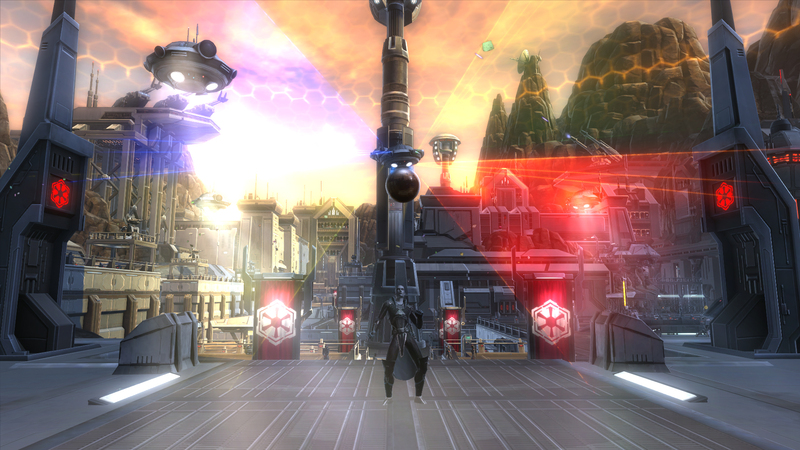 Relax and enjoy your travels through the galaxy in the luxurious Hutt Cantina Skiff Speeder – on sale this week only. ONE WEEK ONLY – Beginning July 3, 2018 – 1440 Cartel Coins! 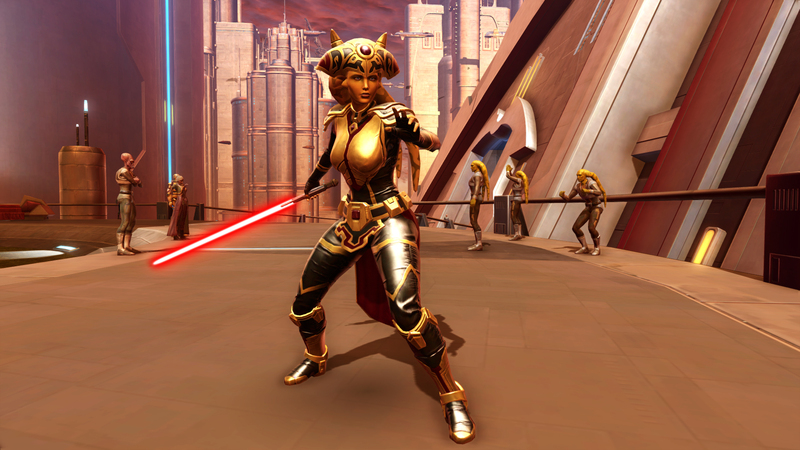 Inspired by Hadiya, the Twi'lek queen of Shikaakwa, this luxurious armor set will make you feel like royalty. ONE WEEK ONLY – Beginning July 3, 2018 – 125 Cartel Coins! ONE WEEK ONLY – Beginning July 3, 2018 – 1800 Cartel Coins Now 1080 Cartel Coins! ONE WEEK ONLY – Beginning July 3, 2018 – 480 Cartel Coins Now 240 Cartel Coins each!